Leicester City are just a few hours away from one of their biggest nights in their 133 year history. The Premier League champions return to action in Europe tonight as they travel to Sevilla FC in the last 16 of the Champions League. 1.) The Foxes are at serious risk of relegation and some will argue that the Champions League is now a distraction when the priority is trying to stay afloat in the top flight of English football. 2.) Others will say that tonight's clash is not only an opportunity to reach the quarter finals of such a glamorous competition, but if Leicester leave with a satisfying result, it could be the catalyst to a much needed boost in confidence. Leicester's Riyad Mahrez hasn't had a lot to shout about in the Premier League this season but he's been one of the stand out players for the Foxes when it comes to Europe. He's Leicester's top goal scorer in the Champions League with four to his name and played a crucial part in ensuring three points in their first ever Champions League match. Sevilla have had a fine season so far in La Liga, including wins against Real Madrid and Atletico Madrid. In the Champions League they finished 2nd in Group H, recording 3 wins, 2 draws and a defeat in the group stages. Wissam Yedder will be one to watch if he features this evening. He's been Sevilla's top goalscorer in all competitions this season. The Frenchman has two goals in this year's Champions League. The Ramón Sánchez Pizjuán Stadium is the venue for tonight's game. Sevilla will not only be roared on by their home fans, but they will be full of confidence going into the encounter after their solid league campaign so far. 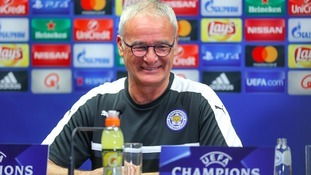 And although Leicester's title defence has been disappointing, it should be remembered that the Foxes have shown real signs of strength in this competition, topping their group in their first ever Champions League campaign. This match has all the ingredients to be a real cracker! But who will take a step closer to the quarter finals?